Tony Miller began his career at HRI in 2005 focused on all areas of CRE including sales, leasing and property management. In 2012, he succeeded his father, Doug Miller, as the president of HRI. In 2018, Tony was honored in the Dayton Business Journal's Who's Who in Real Estate. 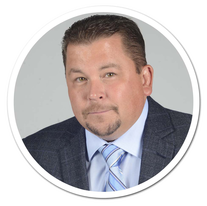 Tony is an active owner-investor in several major commercial real estate projects and personally manages over 300,000 square feet of retail, office and industrial space. Even though Tony did not “officially” start his career in real estate until 2005, you could say it was always in his blood. Both of his parents were entrepreneurs by owning their own real estate brokerages and investment properties. Today, his mother Maria owns and manages Horizon Properties in Guam. Tony resides in Beavercreek with his wife and daughter.